Here is an incomplete list of individuals who contribute to our initiative, with affiliations to the University of Illinois at Urbana-Champaign or other institutions and organizations. Madhu Viswanathan is the Diane and Steven N. Miller Endowed Professor of Business at the University of Illinois at Urbana-Champaign. He founded and directs the Marketplace Literacy Project, a non-profit organization that pioneers the design and delivery of marketplace literacy education to low-income consumers and subsistence marketplaces. Through his organization and partners, tens of thousands of women have received marketplace literacy education – with ongoing programs or pilots in Illinois, India, Tanzania, Uganda, Argentina, and Honduras. He has received awards for research, teaching, curriculum development, social entrepreneurship, humanitarianism, leadership, public engagement, international achievement, and career achievement; in addition, his course on subsistence marketplaces was ranked one of the top entrepreneurship courses by Inc. magazine. He serves on the Livelihoods Advisory Board for the United Nations High Commissioner for Refugees (UNHCR) and is designing marketplace literacy education for refugees and a course for UNHCR staff on subsistence marketplaces. Madhu directs the Subsistence Marketplaces Initiative and has pioneered the area of inquiry and practice entitled subsistence marketplaces, taking a bottom-up approach to the study of the intersection of poverty and marketplaces and developing unique synergies between research, teaching, and social initiatives. He teaches courses on research methods and on subsistence and sustainability, with educational experiences on the latter reaching almost a thousand students each year at the University of Illinois, and tens of thousands of students around the world through Coursera. Educational materials on subsistence marketplaces for educators and students is disseminated through a unique web portal, and innovations include a one-of-a-kind international immersion experience. 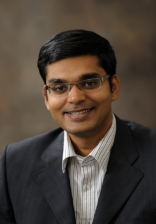 Madhu holds a PhD in marketing from the University of Minnesota and a bachelor of technology degree in mechanical engineering from the Indian Institute of Technology. His research interests are in measurement and research methodology as well as in literacy, poverty, and subsistence marketplace behaviors. He has authored books in both areas: Measurement Error and Research Design (Sage, 2005), Enabling Consumer and Entrepreneurial Literacy in Subsistence Marketplaces (Springer, 2008, in alliance with UNESCO), and Subsistence Marketplaces (eText and eBookPartnerships, 2013). Ron Duncan is the Community and Economic Development Educator for the University of Illinois Extension in Unit 27, serving the counties of Alexander, Johnson, Massac, Pulaski and Union. He brings almost 35 years of experience in engineering and educational administration to this office, directing marketplace and maker education in southernmost Illinois for the Illinois Marketplace and Maker Literacy Program. He holds a master’s degree in management science and a bachelor’s degree in human resource management from Oakland City University, as well as post-graduate studies in workforce education and development from Southern Illinois University and an associate’s in mechanical engineering technology from the University of Southern Indiana. He also holds US patents on motor controls for refrigeration appliances. Recently, working with both government and industry, Ron has been instrumental in formulating strategies for 21st-century business development in Illinois and fostering broadband deployment across the state. As the founding president of the Partnership for a Connected Illinois, he led this group to be the award-winning grantee of the federal ARRA grant for broadband deployment in Illinois, securing and/or leveraging more than nine million dollars for infrastructure and adoption activities. He is a co-author of The Marketplace Literacy USA Education Manual and Support Materials (forthcoming) and the author or co-author of other publications on topics related to economic education and advocacy. He was recognized in 2009 by the US Department of Labor for his assistance in helping the agency broaden the scope of its efforts to improve the national online labor database (O’NET) in the area of college and professional educators. Anne McKinney is a project manager and communications coordinator with more than 15 years of experience working in higher education. She coordinates initiatives for SMI in the development of educational publications as well as web development and social media outreach. She holds master’s and bachelor’s degrees in English from the University of Illinois and Truman State University respectively. Her research interests span diverse fields of study, meeting the Subsistence Marketplaces Initiative at the intersection of educational outreach and the promotion of the knowledge and skills of artisans within subsistence cultures. She is the co-author of multiple resources for the Subsistence Marketplaces Initiative, including The Marketplace and Support Materials (forthcoming) and The Marketplace Literacy Universal Script Manual (forthcoming), as well as other marketing communications for this initiative. 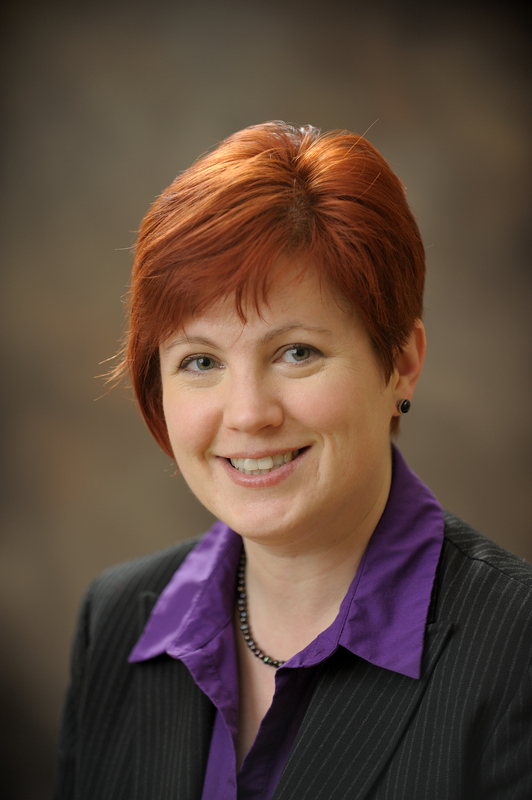 She is also the author or co-author of other articles related to eLearning, history, and literature and has taught courses online and face-to-face on writing for higher education and professional audiences, eLearning pedagogy, and the works of Shakespeare. Anne maintains a passion for the study of pre-industrial subsistence societies and serves as an administrative officer in a global educational non-profit focused on preservation of the knowledge and skills of those cultures. In this capacity, she oversees and directs educational activities for this organization throughout the state of Illinois with seventeen subsidiary reporting officers. She provides guidance and direction for expanding educational opportunities in the arts and sciences promoted within the organization and has led activities at the local community level through a variety of administrative positions. She has won several awards related to service and research in these areas. 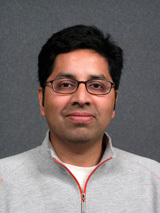 Srini Venugopal is an Assistant Professor of Marketing at the University of Vermont. 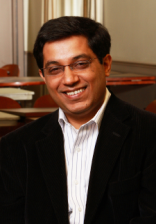 Srini’s research examines the intertwined nature of consumption and entrepreneurship in subsistence marketplaces. 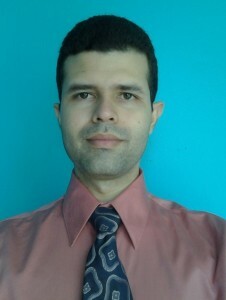 His research has been published in reputed academic journals such as Journal of Public Policy and Marketing, Journal of Macromarketing, and Marketing Theory. Prior to pursuing an academic career, Srini was leading a technology-based social venture in Tamil Nadu, India. His venture was focused on delivering education services to low-income consumers in rural regions of Tamil Nadu. 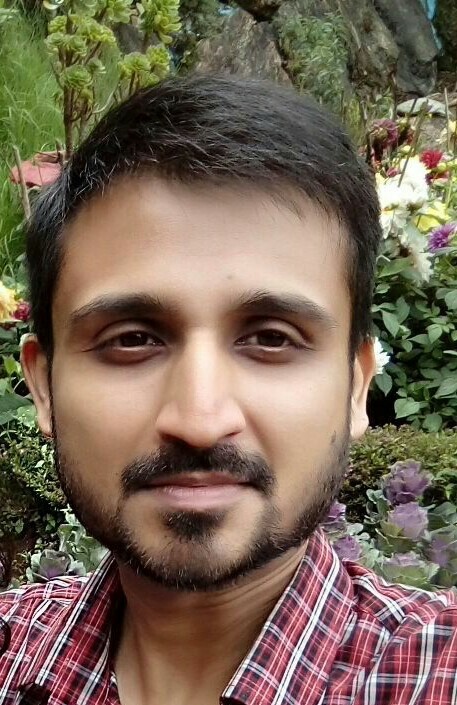 Arun Sreekumar, a doctoral student at the College of Business, studied agriculture and forest management for his undergraduate and graduate degrees in India. He interned at the Gund Institute of Ecological Economics, University of Vermont, where he researched payments for ecosystem services for small-holder farmers. In 2012, he joined The Energy and Resources Institute (TERI), New Delhi, where he worked until 2016 as Area Convenor and Associate Fellow, Rural Resources Management group. At TERI, he led a team of researchers that works on developing sustainable business models for providing household energy access in rural India and East Africa, incubating a network of 300 rural ‘energy enterprises’ to co-design, market, finance, and sell clean cooking and lighting technologies. Arun is particularly interested in observing how rural business models work, involving a dynamic constellation of diverse commercial and non-commercial stakeholders, with commercial and social goals. Luis Chavez leads marketplace literacy education in Honduras. He also manages a Spanish-language blog for Subsistence Marketplaces, Mercados de Subsistencia. Philip Fairweather is the Small Business Development Officer at the Illinois Small Business Development Center in Chicago. With over 20 years of experience as an entrepreneurial training instructor, consultant, and economic development specialist for city, state, and federal governments along with community-based for-profit and non-profit agencies, he directs marketplace and maker education in Chicago for the Illinois Marketplace and Maker Literacy Program. His experience has helped him achieve a 360-degree view of social and economic issues surrounding entrepreneurship. 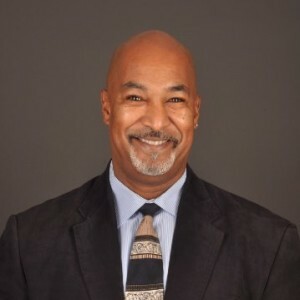 He has earned an MBA from the University of Illinois, a bachelor’s degree from DePaul University – Chicago, a certification in entrepreneurial training instruction from the Kauffman Foundation, a certification in grant writing from the Grants Institute of Los Angeles, and is a US Air Force veteran. Philip has developed and implemented Teen Reach programs across the state of Illinois, collaborating and interacting with a variety of public school systems in Chicago, the Chicago mayor’s office, local business owners, low-to-middle-income families of participating teens, angel investors, and the media. One of his personal entrepreneurial ventures includes his invention and patent of a sports training device that builds speed, endurance, and vertical jump for collegiate, professional, and Olympic athletes. In another entrepreneurial venture as an incubator director, business consultant, and program developer, he taught entrepreneurship to underserved communities – leading to more than 300 community-based businesses, 4,978 employment opportunities created and filled within three years, and two national awards for best practices from the National Organization for Housing and Redevelopment Organizations (NAHRO). He has spoken nationally on various topics related to business and entrepreneurship, government contracting, housing choice vouchers, marketing and international market penetration, personal assessment, and team building. Luis-Felipe Garcia-Perez works with marketplace literacy education in Mexico. He has also written about the characteristics of the lives of people in subsistence conditions in rural Mexico, including not just how they buy and sell, but how they cooperate, socialize, deal with emergencies, entertain themselves, and express their spirituality. Dr. Jeannine Koninckx is a doctor in Dental Medicine. She also holds a degree in Agriculture and Enology. Since early in her professional life, she has a deep interest in addressing the problems face by the most disadvantaged. She has been working as a dentist and educator in rural and marginal urban settlements in remote Patagonia and other Andean regions of Latin America. She has conducted numerous campaigns aimed to improve the quality of life of people living in subsistence, through the development and delivery of educational material, specially dedicated to mothers and families in risk. She is a member of Subsistence Marketplaces Initiative at the College of Business at UIUC, focusing on research, education, and community service through marketplace literacy in Latin America, and Spanish language marketplace literacy education in the United States. 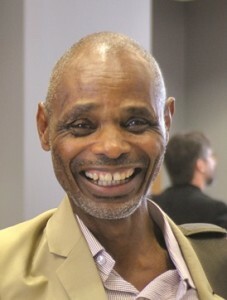 Ramadhani Kupaza is the Executive Director of Oikos East Africa in Tanzania. He has worked for Oikos in development sectors including renewable energy, safe water, food security, and social enterprises. Currently, he is researching the application of marketplace literacy as a tool to sustain community development projects in the context of the conservation of ecosystems and protected areas like national parks and forests. Kupaza has also worked as a lecturer on environment and tourism at The African Wildlife Management (Mweka) College in Tanzania and at Botswana Wildlife Training Institute. 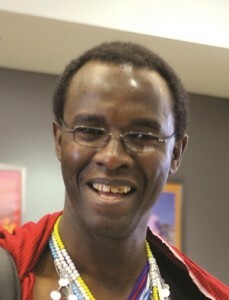 He has established civilian national youth conservation organizations both in Tanzania and in Botswana. He has also conducted various consultancies on tourism, terrestrial, and marine environments. Kupaza is the author of two books: Involving the Youths in Conservation: A Teachers’ Guide and A Directory for Community Conservation Services in Botswana. He writes regularly for a local newspaper, The Arusha Times, on environmental and social issues. Francisco Seufferheld holds a degree in Agriculture and in Geography with expertise in the study of dry lands. He has worked extensively in local development and environmental conservation projects, in northern Patagonia and other Andean regions of Latin America, especially in Argentina, Bolivia, Chile, and Peru. He has dedicated many years of his career to help in the recovery of culture, heritage and traditions of the native inhabitants of these extensive territories. In recent years he has devoted himself to the development of educational materials and programs, specifically dedicated to improving the quality of life of low literate learners. He is a member of Subsistence Marketplaces Initiative at the College of Business at UIUC, focusing on research, education, and community service through marketplace literacy in Latin America, and Spanish language marketplace literacy education in the United States. 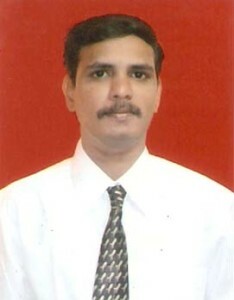 Tejinder Sharma is an Associate Professor in the Department of Commerce, Kurukshetra University, Kurukshetra, where he has been working since 1998. A graduate in dairy technology (National Dairy Research Institute, Karnal, 1991), he completed an MBA (Kurukshetra University, 1993) and then worked with pharma and biochemical industries. 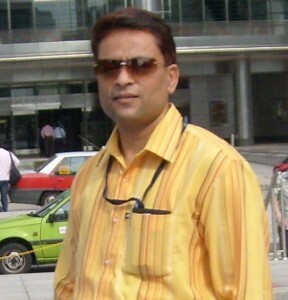 He earned his doctorate in strategic marketing in 2002 (Kurukshetra University). 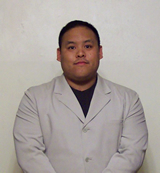 He has research interests in marketing, CSR, technology readiness, and consumer behavior in subsistence marketplaces. 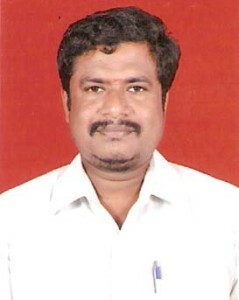 Sudhakar has been part of the marketplace Literacy Project since June 2010. Over the past 6 years, he has worked at the grassroots level for a number of social enterprises operating in rural areas of Tamil Nadu, India. Currently, he is part of the project team creating video-based learning material targeted at subsistence entrepreneurs and consumers. He is also involved in a research project exploring the evolution of subsistence enterprise ecosystems. enabling marketplace literacy among low-literate, low-income individuals in India. Prior to his work with Marketplace Literacy Project, Venkat worked for the Guild of Service, on an international livelihood development project for below-poverty-line individuals. In his work with the Subsistence Marketplaces Initiative, Venkat has led multiple research projects, qualitative and quantitative alike. He has also been instrumental in designing and facilitating numerous international student immersion trips to India. Venkat’s passion for enabling consumer and entrepreneurial literacy sees him wearing multiple hats, that of a researcher and a teacher. His leadership in creating video based lessons on marketplace literacy has enabled hundreds of participants to benefit from the program. Capturing his vast experience in the domain, he has co-authored a book titled “Enabling Consumer and Entrepreneurial Literacy in Subsistence Marketplace”. Venkat’s commitment to research has been a constant source of support for many PhD students of UIUC, studying various aspects of subsistence marketplaces. K Vijayakumar (Viji) has been an inspirational contributor in the field of marketplace literacy for several years. His interest in social work was kindled while working for the Guild of Service Plan International. His passion has driven him to work as an outside support for the subsistence marketplace initiative. In 2011, he joined the organization full-time and has since been working as a research associate for the Subsistence Marketplaces Initiative at the University of Illinois. 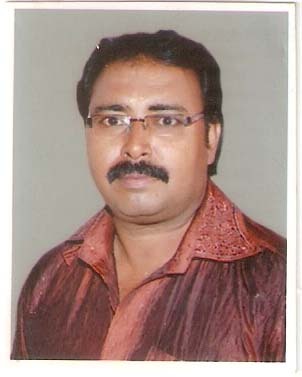 He has played a central role in designing video based training program for consumer and entrepreneur literacy. 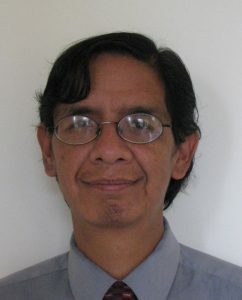 He is also a strong source of support for doctoral students from UIUC working in the arena of subsistence marketplaces. He has played a crucial role in designing and implementing international student immersion trips to India. Viji has a passion for research and has played a leading role in localizing and administering numerous surveys and field experiments in challenging contexts. 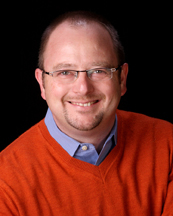 John Clarke is the executive director of the Academy for Entrepreneurial Leadership at the University of Illinois. The academy for entrepreneurial leadership is focused on developing an entrepreneurial culture in the students, faculty, and staff of the University of Illinois. The academy views entrepreneurship as a process that can lead to creative solutions for social problems or the formation of new and innovative enterprises. 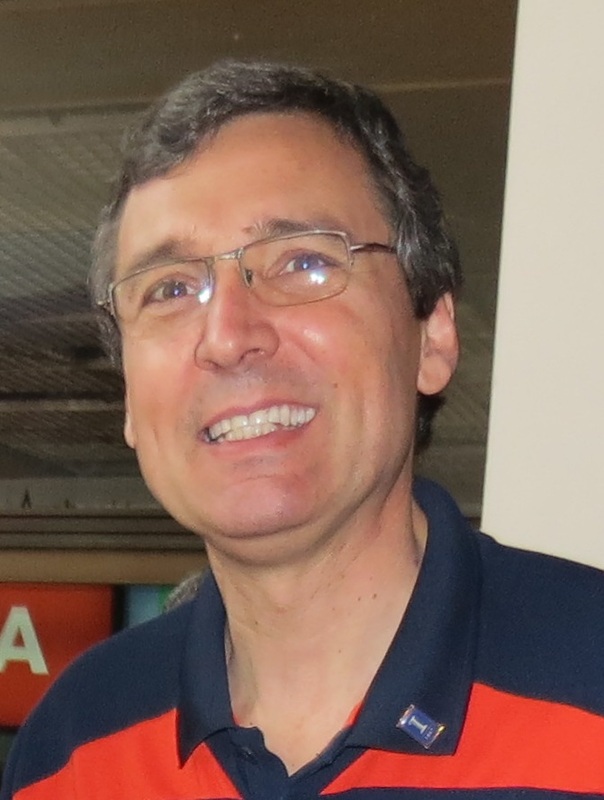 John has been teaching at Illinois since 2004 as a Clinical Professor in Business Administration, his teaching interests include entrepreneurship, product development, consulting, sustainability, and project management. He has been involved in the Subsistence Marketplaces Initiative since its inception and has co-taught in the program since 2008. John focuses on creating curricular and co-curricular opportunities for students that enable the development of market relevant experiences, attitudes, and leadership skills. He has led the development of several new courses and programs targeting students from across the campus. He is the executive director of Illinois Business Consulting, a premier student consulting organization and executive director of The Hoeft Technology & Management Program and joint initiative between the colleges of engineering and business. He has developed international immersion experiences for undergraduate, graduate, and executive MBA students and led more than 300 students on intensive learning experiences in China, India, and Korea. John has over 20 years of executive leadership in both industry and academia. He has significant experience in consulting, professional advising, management, business development, and teaching. Prior to working at the University of Illinois he worked as a management consultant in Asia, Europe, and North America. 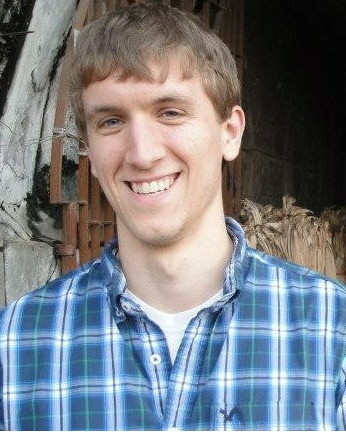 Eric is an undergraduate studying economics and political science at the University of Illinois at Urbana-Champaign. His studies have focused on government, law, public policy, environmental policy, and environmental economics. His research outside of MLP has focused on electoral system design, global constitutions, experiential education methods, and environmental history. With MLP, Eric has helped to design and teach marketplace literacy workshops. Currently, he is working to incorporate marketplace literacy into existing mathematical curricula as well as producing a video to promote resource conservation in people’s daily routines. He has a particular interest in legal ecocentrism and bottom-up policy design. He will be starting law school at another university in the fall. Roland Gau is a Visiting Assistant Professor in the Marketing Area at AB Freeman School of Business, Tulane University. His work covers a number of issues relating to low literacy in the US including designing and assessing user-friendly nutrition education materials for educational programs for low-income individuals, designing and testing user-friendly nutritional labels, and understanding the retail shopping experience for low-literate consumers. John Hedeman is the director of the Sustainable Marketplaces Lab. A lifelong educator, John retired in June 2012 as assistant dean for honors in the College of Business. 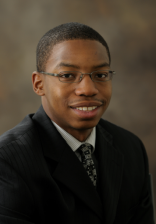 He was hired in 2003 to design, implement, and administer an undergraduate business honors leadership program. He created a new honors program with a unique mission. Students in the program were inspired to use the program to build leadership skills that they were then expected to use to benefit all of the students in the business college. Not only did he teach the freshmen and sophomores in the College of Business Honors Program, he also led annual honors student trips to Germany, Japan/Korea, Brazil, Turkey, India, and China. Hedeman served as faculty advisor for three national championship teams in the PwC xACT Case Competition. In 2006, he was honored by the college as recipient of the Emerson Cammack Award for outstanding service to undergraduate students. In 2008, he was recipient of the University of Illinois Educator of the Year Award presented by the University of Illinois Alumni Association. Finally, in 2012, the College of Business recognized John with its highest honor for staff members with the Academic Professional Award. 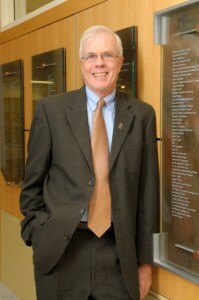 Prior to joining the College of Business, John was principal and director of the University of Illinois Laboratory High School for five years. The school is consistency cited by Newsweek as one of the top public schools in the country. For fourteen years Hedeman held various teaching, counseling and administrative positions, including Dean of Students, at Parkland College, a public community college. His first job in education was at McDonogh School in Maryland where he was a teacher, coach, houseparent, counselor, and head of upper school. John earned his AB degree in English from Princeton University, his MEd from Johns Hopkins University, and his PhD from the University of Illinois. Upon his retirement from the University of Illinois, John moved to Lawrence, Kansas. He is presently consulting with honors programs nationally, serving on the board of the Marketplace Literacy Project, and working as an associate with C.K. Gunsalus and Associates. 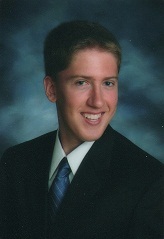 Sam Hershman is an undergraduate in Finance at the University of Illinois at Urbana-Champaign’s College of Business, with a primary academic focus in Corporate Finance. Sam’s research interests are in the field of marketplace literacy, and he is currently working in Champaign-Urbana with a research team to develop lessons to teach marketplace concepts. Maria Jones is a recent graduate of the MBA program, passionate about working at the nexus of poverty and environmental sustainability. Her experience spans three different continents, where she has worked with low-literate, low-income people to help in imparting marketplace literacy training and develop sustainable solutions. Maria has a unique mixed background in Environmental Engineering (focus on sustainability) and Biotechnology. Maria spent her last summer gaining an unforgettable experience by living and working with the Maasai community in Mkuru village, Tanzania. There, she carried out extensive entrepreneurial literacy training among women and youth; and consulted for a local co-op. In addition, she has helped develop and implement sustainability education to the low-income and low literate at the Urbana Adult Education center through the Subsistence Marketplaces Initiative. Currently, Maria is researching how marketplace literacy can transform and help in livelihood opportunities for refugees as a part of a United Nations High Commissioner for Refugees project, working with Prof. Madhu Viswanathan who serves on the Advisory Board of the UNHCR. On a final fun note, Maria is an amateur photographer, blogger and worship-band singer and is excited to be a part of the Sustainable Marketplaces Initiative team! 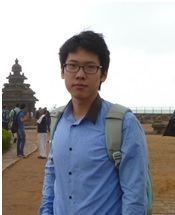 In Woo Jung is a student in the Master of Public Administration program at the London School of Economics and Political Science. In 2013, In Woo earned a degree in Global Studies at the University of Illinois at Urbana-Champaign. His research and academic interests focus on community and economic development and marginalized populations in developing and developed contexts. His most recent research examines work as a social inclusion medium for persons with disabilities in Kenya and India. In Woo also runs a food processing social enterprise in Korea that employs persons with disabilities and other at-risk populations. Emmanuel Ole Kokan is the Founder, Director, and CEO of the Maasai Pastoralists Foundation (MPF), an NGO which has sought to empower the Maasai community in Tanzania through traditional knowledge, cultural creativity, and social investment since 2006. Kokan firmly believes in the importance of social investment to guarantee community ownership and value of local resources, while creating revenues that improves the lives of the poor and marginalized members of the community. Emmanuel was born into a typical Maasai family of 12 children in the Monduli District in Arusha, Tanzania. As a child, he went through junior seminary school and later attended major seminary training for priesthood studies at Iona College in Australia. He also studied HIV/AIDS studies at Cape Town, South Africa prior to completing a BA in Law (LLB.Hons) at Tumaini Makumira University in Tanzania. Much of his life’s work has been to facilitate community development through a social business approach, focusing especially on the Maasai pastoral communities of his origin. 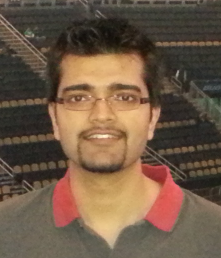 Kanishka is an Electrical Engineer at Bombardier Transportation in Pittsburgh PA. He received his BSEE in Electrical Engineering from University of Illinois at Urbana Champaign, and MSEE in Power and Energy Systems from University of Wisconsin Madison. Kanishka met Professor Viswanathan at a Micro-Finance conference at University of Illinois where he learned of Subsistence Marketplaces Initiative. During his MSEE he got involved in the development of documents for the initiative. Ishva Minefee is a doctoral student in International Business at the University of Illinois, Urbana-Champaign. His research emphasizes the influence of role models in new venture creation in subsistence contexts. Additionally, he focuses on how nongovernmental organizations interact with communities and enact social change in poverty settings. Ishva does work in a comparative, cross-country setting to create deeper insights into global phenomena. in Electronics and Communication Engineering, a Masters Degree in Business Management and a Doctorate in Management. 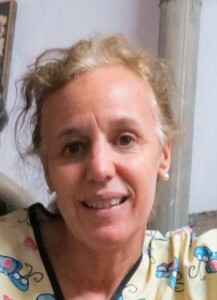 She is a core member of our staff in providing immersion experiences for students during field trips to India. Her experience in teaching includes ten years at the National Institute of Technology (NIT), Tiruchirappalli, in the Department of Management Studies. 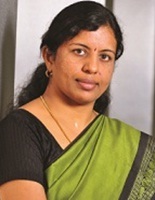 Currently, she is chairperson of post graduate programs and teaches courses at Amrita University at Bengaluru. Her teaching interests are in Accounting, Microfinance, Financial Services, and Project Management. Her research interests are in microfinance, microenterprise development, and corporate social initiatives. She has authored several publications and presented papers at conferences held in India, the US and Europe, including the First Subsistence Marketplaces Conference held in Chicago in 2006. She has held various administrative positions and organized several training and development programs for students and staff ofseveral organizations. She was selected for the Group Study Exchange Programme to promote Indian culture to the Philippines by the Rotary Club of Rockcity, Tiruchirappalli, India. She has won prestigious awards for merit and proficiency in case writing and is actively involved in community development projects. 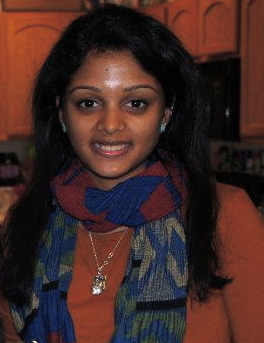 Anusha is an undergraduate studying economics at the University of Illinois at Urbana-Champaign. She is passionate about issues regarding the environment and sustainability. Her interests focus on the interconnectedness of environmental degradation and individuals in subsistence marketplaces. Anusha is involved in presenting and creating material about sustainable consumption to deliver to low-income individuals. She is also involved in creating educational modules about sustainable consumption for individuals in the Indian subsistence marketplace. Anusha looks to translate her knowledge and experiences in environmental advocacy to increase sustainable consumption amongst individuals. Aric Rindfleisch is the Executive Director and Co-Founder of the Illinois MakerLab at the University of Illinois at Urbana-Champaign College of Business, as well as Professor and Department Head of Business Administration and John M. Jones Professor of Marketing. He holds a PhD from the University of Wisconsin at Madison, an MBA from Cornell University, and a bachelor’s degree from Central Connecticut State University. As Executive Director of the MakerLab, he has been an active member of the Illinois Marketplace and Maker Literacy Program and has worked closely in the training and assistance of maker education instructors throughout Illinois. Robin Ritchie is Assistant Professor of Marketing at Carleton University’s Sprott School of Business in Ottawa, Canada. He earned a BA in Political Science at the University of Calgary, along with an MSc in International Business and a PhD in Marketing from the University of British Columbia. Robin’s research interests focus on the study of subsistence marketplaces and the effects of consumer suspicion of marketers. He is also investigating brand-building in virtual environments, the nature of competition in the nonprofit sector, and consumer attraction to physically perfect products. 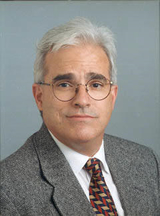 He has co-authored a number of publications on subsistence markets, including “Understanding Consumption and Entrepreneurship in Subsistence Marketplaces,” published in the Journal of Business Research, and “Designing Marketplace Literacy Education in Resource-Constrained Contexts,” published in the Journal of Public Policy and Marketing. Other publications include “Damage from Corrective Advertising: Causes and Cures,” published in the Journal of Marketing, “The Defensive Consumer: Advertising Deception, Defensive Processing, and Distrust,” published in the Journal of Marketing Research, and “A framework for an industry supported destination marketing information system,” published in Tourism Management. Professor Ritchie’s work experience includes management of marketing research for Travel Alberta (the tourism marketing agency of the province of Alberta, Canada), and consulting for the Valencian Tourism Institute in Valencia, Spain. 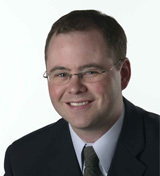 He has also served as an account manager with Columbus Group Internet Marketing in Vancouver, British Columbia. 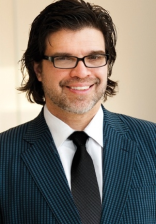 José Antonio Rosa is professor of marketing and sustainable business practices in the Department of Management and Marketing at the University of Wyoming, where he teaches consumer behavior and business-to-business marketing courses to graduate and undergraduate students. One of his current research areas focuses on the role played by body knowledge in creative imagination, most recently among subsistence consumers in Latin American countries who must develop artifacts to meet daily needs. He has also looked at the role of body knowledge in creative imagination by professionals involved in problem solving and product development tasks. Jose has also studied how low-literacy and low-numeracy consumers navigate retail environments that are geared for medium-to-high levels of literacy and numeracy skills. Jose has been a central contributor to the subsistence marketplaces initiative in many ways, such as through his research in this area, and through co-chairing a conference on this topic and co-editing a book based on it. He serves on the board of the Marketplace Literacy Project, a non-profit organization which aims to empower individuals living in subsistence by enabling consumer and entrepreneurial literacy. Vishal Sachdev is the Director and Co-Founder of the Illinois MakerLab at the University of Illinois at Urbana-Champaign College of Business, as well as Lecturer of Business Administration. He received his PhD in information systems from the University of Texas at Arlington, a master’s degree in international business from the Indian Institute of Foreign Trade at New Delhi, and a bachelor’s degree in mathematics from St. Stephens College at New Delhi. He teaches courses in IT strategy, data modeling, and analytics. As Co-Founder of the world’s first 3-D printing laboratory based in a business school, Sachdev has worked closely with the Illinois Marketplace and Maker Literacy Program in facilitating maker education throughout Illinois. His research interests focus on new approaches to learning, including “learning by making” with a particular interest in digital making. He is a co-author of the Maker Literacy USA Education Manual (forthcoming). Besides his interest in the maker movement, Sachdev is researching the role of technology in enabling new approaches to teaching and learning. He is applying his findings from this research to structure environments that enable students to learn in online /blended environments with a focus on peer-learning experiences that can be scaled to environments of different sizes. 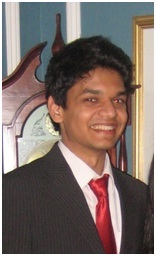 Umang is an undergraduate studying Finance at the University of Illinois at Urbana-Champaign. His interests lie in the areas of Corporate Finance and Corporate Law. He has prior experience working with Micro-Financing firms in India and plans to study the application of the principles of Subsistence Marketplaces on the same. Umang is involved in providing creative solutions in order to reach people of varying literacy and income levels in India, Africa and South America. He aspires to effectively communicate the principles of Subsistence Marketplaces and fundamental Business concepts to people regardless of their race, income and geographic disparities. College of Business at the University of Illinois, where his academic focus is information technology, with concentrations in informatics and entrepreneurship. His research interests lie in developing entrepreneurship and agriculture curriculum for low-literate learners in Sub-Saharan Africa. Steven analyzes decision-making and marketplace interactions in low-literate environments, as well as how local cultures play a role in effective business and vocational education. In addition, Steven studies how to implement energy-efficient, sustainable information and communication technology (ICT) to villages in rural areas of Africa, especially those off the power grid. In addition to being involved with entrepreneurial start-ups at the University of Illinois, he is a consultant with Illinois Business Consulting. Steven has also served as a researcher and consultant for non-profit organizations, ranging from autism legislation to education in Africa. 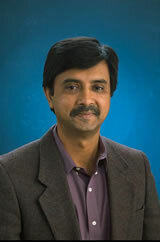 Srinivas Sridharan is a senior lecturer in the department of Marketing at Monash University. His work explores marketing, sales force, and entrepreneurial phenomena in low-income settings, particularly in emerging economies. In current projects, he is investigating issues of sustainable marketing and organization design for business participation in subsistence marketplaces. At Ivey, he teaches undergraduate courses on Value Co-creation in Developing Markets and Sales Force Management and a graduate course on Market Leadership.